Tuesday’s World Cup action features plenty of star power, with James Rodriguez looking to guide Colombia past Japan, Robert Lewandowski leading Poland against Senegal, and Mo Salah expected to be ready for Russia. Tuesday’s World Cup matches feature the last of the teams yet to play, as well as the first game of the second round of matchups. Colombia vs. Japan gets the day started, with two other matches throughout the day for your betting enjoyment. Soccer fans may get their first World Cup glimpse of Egyptian star Mo Salah, as he's expected to start vs. Russia after [missing the Pharaohs 1-0 loss to Uruguay](https://www.betchicago.com/mohamed-salah-egypt-odds-world-cup). Here is scheduling and odds information to help prep for Day 6 of the 2018 World Cup. __Colombia vs. Japan, 8:00 a.m. EST/7:00 a.m. CST, FS1__ These nations meet for the second time in as many World Cups. Colombia whalloped Japan 4-1 in the group stage of the 2014 event in Brazil. The South Americans were led by superstar James Rodriguez, who led the side to the quarterfinals before a 2-1 loss to Brazil. According to Westgate Las Vegas SuperBook, Colombia is the solid favorite at -140, while Japan sits at +440 and the draw +250. Rodriguez may no longer be the man for Colombia, as his teammate Radamel Falcao Garcia, along with Japan’s Yuya Osako, are the +165 favorites at Bovada to score the first goal of the match. James and Shinji Okazaki are +250 to break the deadlock. __Poland vs. Senegal, 11:00 a.m. EST/10:00 a.m. CST, Fox__ Poland gets the edge at the Westgate in Las Vegas, as the European side is priced as the +130 favorite, with Senegal the +245 dog and the draw +205. 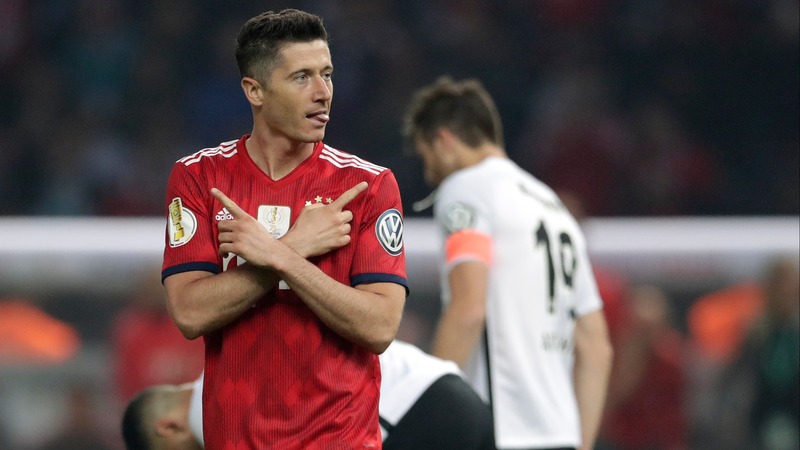 Bayern Munich standout Robert Lewandowski brings star power to the game and is by far the favorite to score first for Poland (+140 at Bovada), as well as the favorite to score the first goal of the game (+280). __Russia vs. Egypt, 2:00 p.m. EST/1:00 p.m. CST, Fox__ Two storylines to watch ahead of this match: 1) Russia, after its 5-0 triumph over Saudi Arabia, could punch its ticket to the knockout phase with a win; 2) Salah should be ready to make his World Cup debut. Egypt seemed poised to steal a point from Group A favorite Uruguay in its first match, but had their hearts ripped out in the 89th minute by José Giménez. The host country is priced at a modest +110 at Westgate to win the match, while Egypt sits at +295 and a draw +210. Salah is +450 at Bovada to be man of the match, the second best odds of any player, despite the fact Vegas believes his team will lose.